It has to be one of the sweetest and most unique relationships on earth. Sudan, the last male northern white rhino on earth, is guarded 24 hours a day from harm by a special team at Ol Pejeta Conservancy in Kenya. 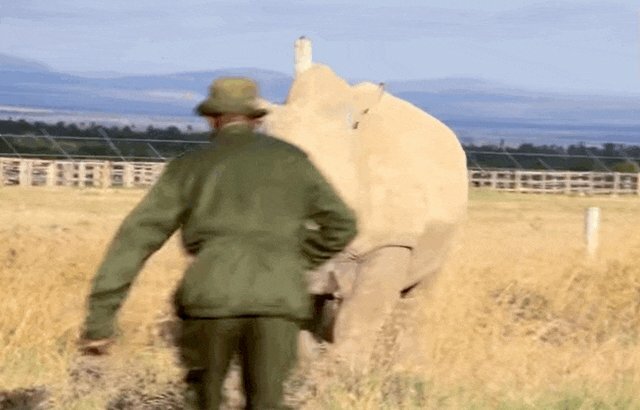 New footage shows the incredible bond this rarest rhino and his guards share. Sudan, and the female northern white rhinos Sudan lives with, enjoy the playful friendship they have with their constant companions. "When we call his name, he will respond by coming," one of Sudan's guards said. "Sudan feels comfortable when he is being scratched under the belly and behind the ears and he feels very relaxed." Sudan, at age 42, has an amazing life story. 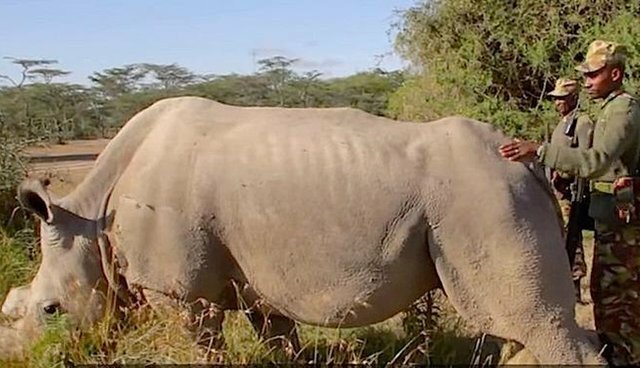 Captured as a young rhino in the wild, Sudan spent 35 years in captivity at a zoo in the Czech Republic before he was brought to Ol Pejeta to live out his days in his natural environment. Sadly, Sudan is getting older. 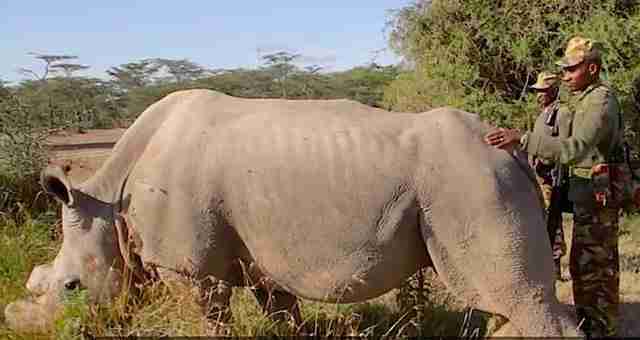 And once Sudan is gone, there's no hope left for the northern white subspecies of rhino, despite attempts to get these rarest rhinos to breed. Rhinos everywhere are being slaughtered for their horns because of a stubborn superstition that believes rhino horn has medicinal properties. "Rhinos across the planet are threatened, whatever species you're looking at," said Richard Vigne, CEO of Ol Pejeta. "Humans are 100% to blame for what's happened to rhinos across the planet." Learn how you can help this rarest friendship on earth here.